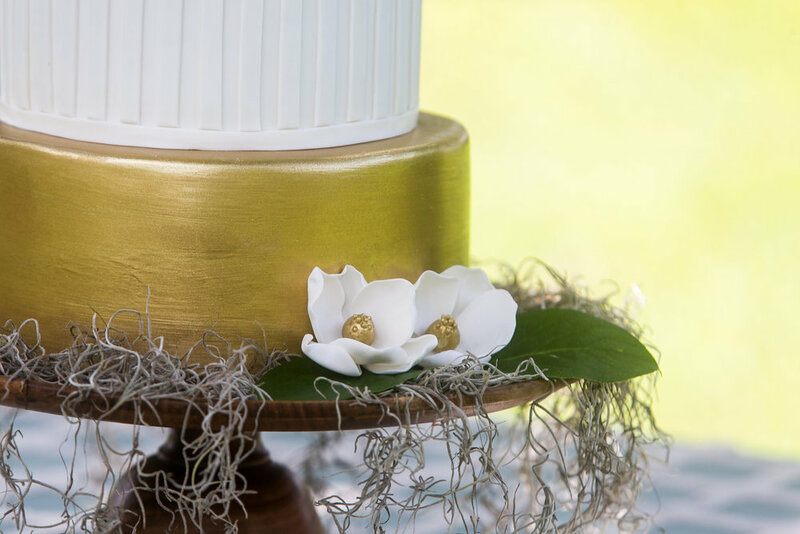 When we designed this shoot, we had in mind the challenge a lot of our clients face of blending the traditional tastes of their parents and their own modern style. 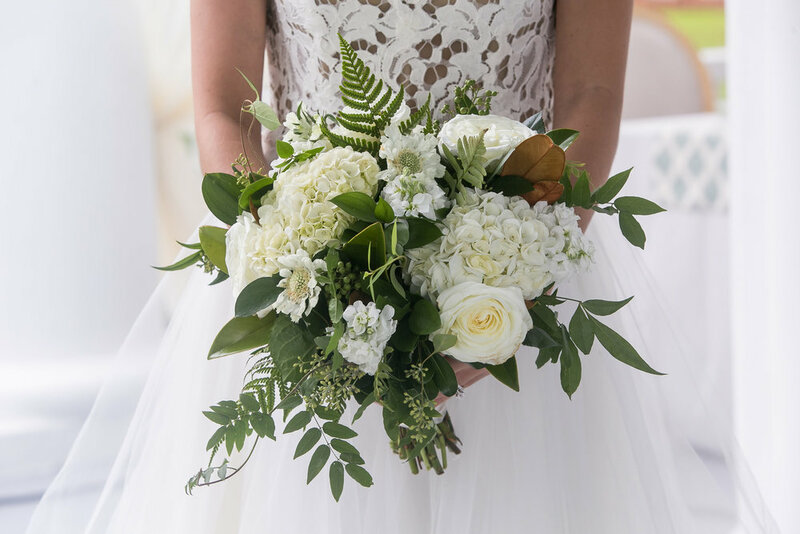 Inspired by coastal NC, the historic River Forest Manor & Marina, and modern Southern hospitality, we selected a setting that blurs the lines of tradition and high-style in the coastal South. 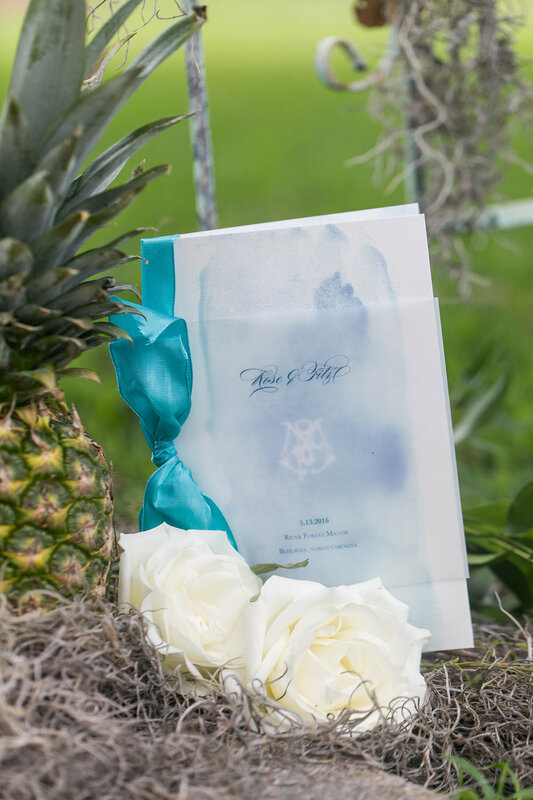 A coastal inspired invitation suite included a custom monogram and a soft azure watercolor design. The suite was designed to be formal, yet not stuffy; lavish, but not over done. The groom and his men wore Brackish Bow Ties from Bailey's Fine Jewelry, beautifully designed and crafted from game feathers. Every southern princess needs her pineapple wand! 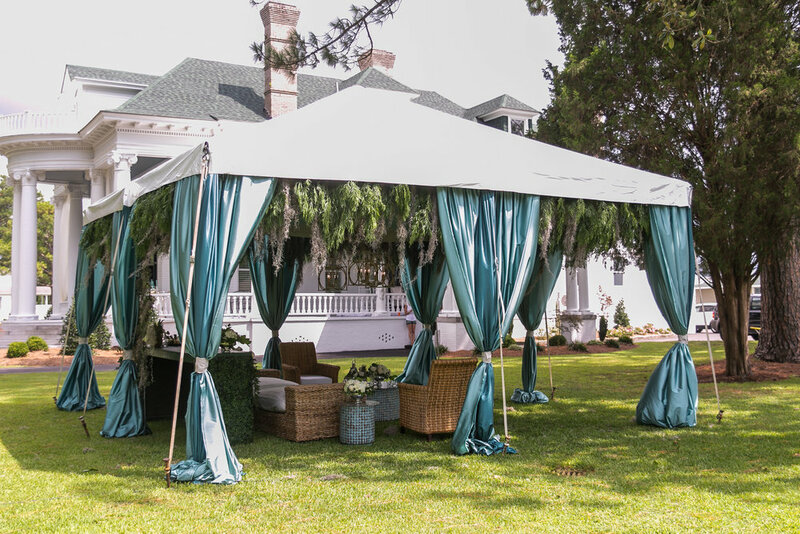 The 30-foot tall porch was transformed with shear flowing drapes, lush magnolia blooms and spanish moss surrounding the ceremony site. 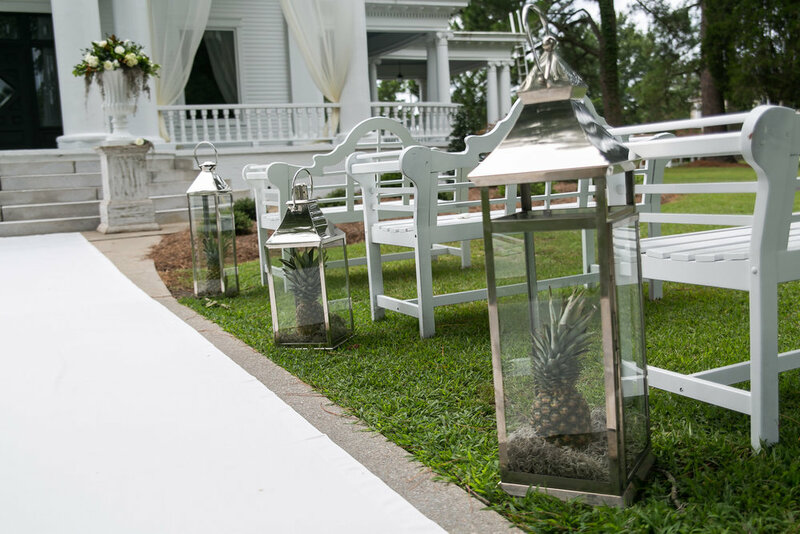 Rows of lanterns boding pineapples lined the aisle, while garden bench seating gave guests the perfect place to perch. 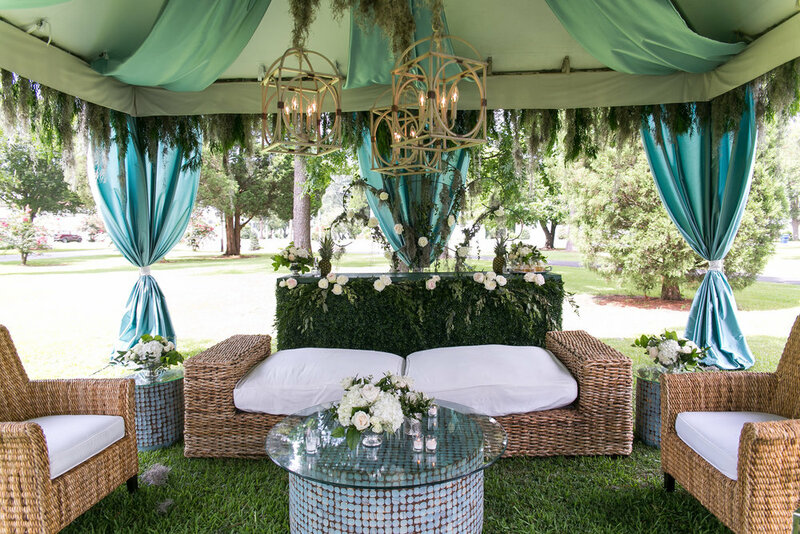 We designed intimate reception tables on the porch to be modern, southern, and lavish. 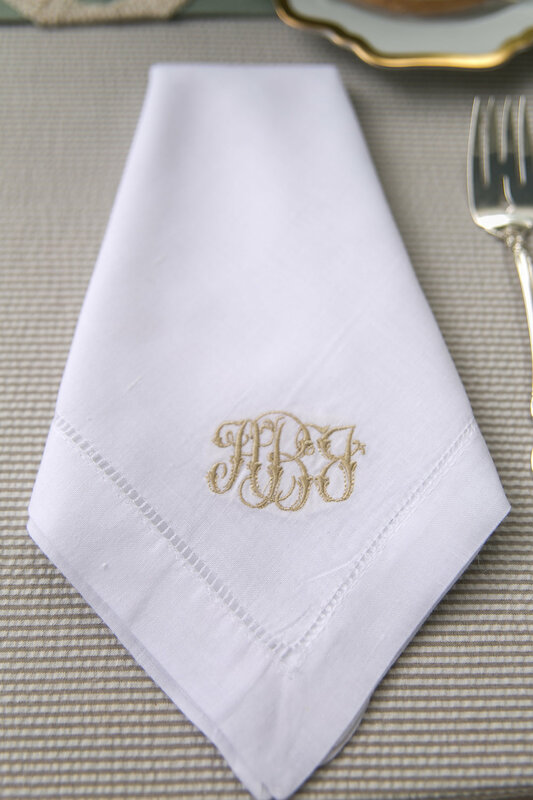 We mixed traditional Tobacco Leaf pattern china, with sleek gold-rimmed chargers and monogrammed hemstitch napkins. The table was embellished with crystal candelabras, lush greenery, and rose compotes for stunning centerpieces. 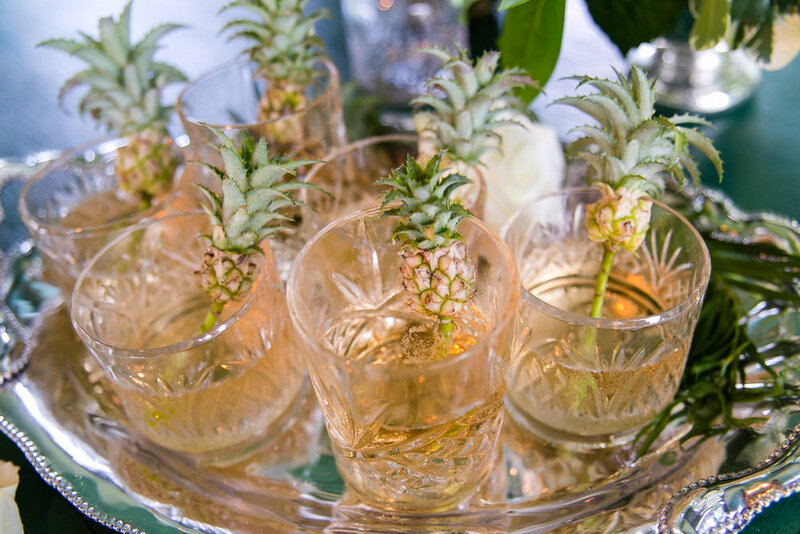 Mini pineapple place holders held personalized watercolor name cards to welcome guests to their seats. Not your average cabana tent! We crafted a custom valence, made entirely of Spanish moss and greenery, a nod to the lush live oaks surrounding the property. 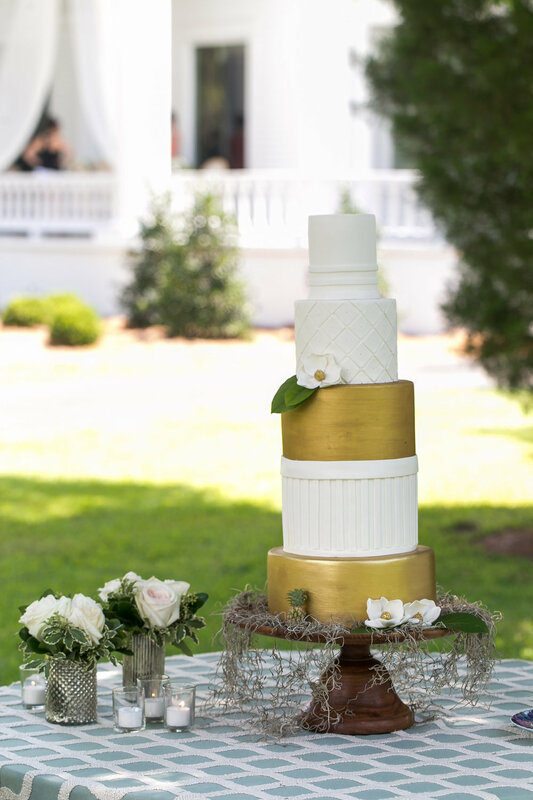 Five tiers of sweet perfection, this cream and gold cake tower struck a beautiful balance of old and new with spanish moss and pineapple accents. The day came to and end with a beautiful private dinner and dance on the dock, overlooking the river.